Groundscape Solutions, A Fort Worth Landscaping Company, Designs and Builds Wooden Vegetable Boxes. These Vegetable Boexs are Raised off the ground so its easy to harvest the crops without having to stoop. 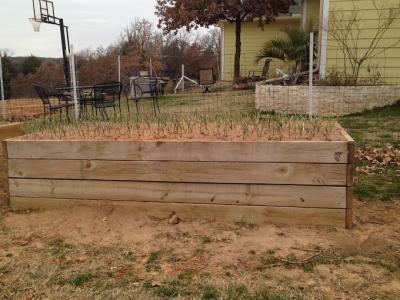 Vegetable Boxes makes it easier to control weeds. These boxes can be made to your specific dimensions and placed in the proper spot for the amount of sun your crop is needing. Give us a call at 817-759-0102 for a quote and visit our website at www.groundscape.com Groundscape Solutions is a fully insured landscaping company and will provide references.